Will Duterte’s crass and unpredictable style impact the Philippine economy? Philippine President Rodrigo Duterte marked two years in office with his popularity rating at record lows. While the 73-year-old has shrugged off his critics amid solid economic growth, analysts warn of longer-term damage from his authoritarian and erratic style. The end of Duterte’s political honeymoon was highlighted by the latest opinion survey conducted on the cusp of his two-year election anniversary on June 30. The poll showed his net satisfaction rating had plunged by 11 percentage points to 45 percent, with the biggest declines among those from the capital region, the poor, and the young working population, according to Social Weather Stations data. After peaking at 66 percent in June 2017, the president’s approval rating plunged in the September quarter last year to 48 percent, subsequently rebounding before the latest slide. Another survey by Pew Research showed two-thirds of Filipinos opposed to Duterte’s push to amend the constitution and hand more power to regional governments. Recent comments by Duterte describing God as “stupid” would also have not endeared him to the majority Catholic nation of 104 million people, while rising inflation has hit voters in the hip pocket. The latest inflation data released July 5 showed consumer prices accelerating, with headline inflation for June at 5.2 percent, up from May’s 4.6 percent and exceeding economists’ forecasts on the back of rising food and education prices. “Overall, the combination of robust domestic demand, lingering impact of tax reforms, and elevated global crude oil prices amid a weaker peso continue to present a challenging environment,” ANZ Research said. The Philippine economy has done exactly that, expanding at the fastest pace in Southeast Asia last year at 6.7 percent. ANZ Research sees it rising slightly to 6.8 percent in 2018, a rate it achieved in the second quarter and among Asia’s strongest performances. Philippines socioeconomic planning secretary, Ernesto del Mar Pernia, pointed to Manila’s 8 trillion peso ($150 billion) infrastructure program as supporting the economic outlook. However, critics point to rising vulnerabilities in the Southeast Asian nation’s economy, including concerns over weakening rule of law and the effects of tax reforms known as “TRAIN” (tax reform for acceleration and inclusion) that have cut personal income taxes but expanded value-added taxes. The result, according to Forbes contributor Richard Heydarian, has been an inflationary surge, a weakening currency that has plunged to its lowest level in 12 years against the dollar, along with the highest current account deficit in 18 years. Foreign investment pledges dived nearly 52 percent in 2017, particularly from South Korea (down 93 percent) and the United States (70 percent lower). “To be frank with you, to date… the Philippines is not a safe country,” Korean Chamber of Commerce of the Philippines (KCCP) president Ho Ik Lee said. Overall though, foreign direct investment still reached a record high of $10 billion, driven by a 24 percent rise in Japanese investment, along with funds from the United States, the Netherlands, and other traditional investors. Despite the rhetoric of friendlier ties with China, the data showed only a small rise in Chinese investment to $31 million, compared to the $600 million invested by Japan. The stockmarket has tracked the peso’s decline, though. As at July 16, Philippines stocks were showing a one-year decline of 6.5 percent, with analysts warning of further falls due to the tumbling local currency. “To restore market confidence, Duterte will have to demonstrate greater policy predictability, end extrajudicial killings and strengthen the rule of law, and allow the country’s technocrats to run the economy,” Heydarian argued. “For the most part, Duterte has stuck to his campaign promise by staying out of the day-to-day running of the economy. Instead he has delegated economic management to a few respected officials, most importantly, Carlos Dominguez as finance minister, who has provided reassurance to investors concerned about Duterte’s war on drugs and other controversial policies,” said senior Asia economist Gareth Leather. Other key technocrats include Benjamin Diokno, secretary of management and budget and Pernia, who also serves as boss of the National Economic and Development Authority. Thus far, the technocrats have maintained and built on the previous administration’s goal of increased infrastructure spending. According to the latest budget, infrastructure investment will climb to 5.3 percent of GDP this year and more than 7 percent by 2022, up from 4.1 percent in 2016, funded by the TRAIN reforms that should raise around 1 percent of GDP in additional revenue. Capital Economics also noted other “useful” reforms including those curbing tobacco consumption and unwanted pregnancies, as well as increased spending on education. However, the TRAIN reforms have pushed inflation to a seven-year high, thanks to higher indirect taxes on products such as high-sugar drinks, alcohol, and fuel. Worries over inflation were the main reason behind the central bank’s two recent interest rate hikes. Meanwhile, the infrastructure drive has spurred a large increase in imports of capital goods, contributing to the deteriorating current account and weakening currency. Nevertheless, the Philippines economy is still seen growing strongly over the year ahead due to export demand, rapid credit growth, positive consumer sentiment, and government spending increases. “The much bigger concern for the economy over the long term, however, is a string of inflammatory comments and policy changes by Duterte that have raised concerns in the minds of investors over the president’s judgment and commitment to the rule of law,” Leather said. “The Philippines’ own history shows how poor leadership and political uncertainty can hold back an economy. The biggest risk for the Philippines is that history now repeats itself,” Leather said. Any reversal could spark declining equity and foreign direct investment inflows, dampening medium-term growth prospects. “The upshot is that while we expect growth to hold up well in the short term, the risks to growth are tilted firmly to the downside,” Leather said. With Duterte only two years into his six-year term, investors can only hope that the technocrats keep a firm grip on economic policy despite their leader’s political theatrics. 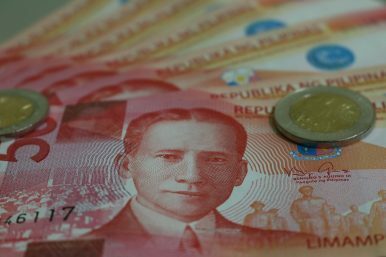 What will the Philippines' president-elect mean for the country's economic prospects? Duterte’s Year of Sound and FuryIs Duterte Wrecking the Philippine Economy?Winners and Losers From Asia’s Year of the RoosterAsia To Stay World's Fastest-Growing Region Through 2030The China Benham Rise Controversy: A Wake Up Call for the Philippines?